However, after the bitmap, there are still 493 bytes left. 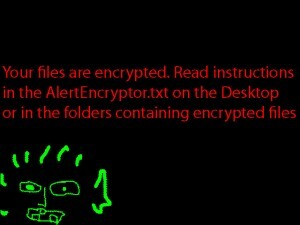 This should be either the encryption key or the message in the AlertEncryptor.txt files…. 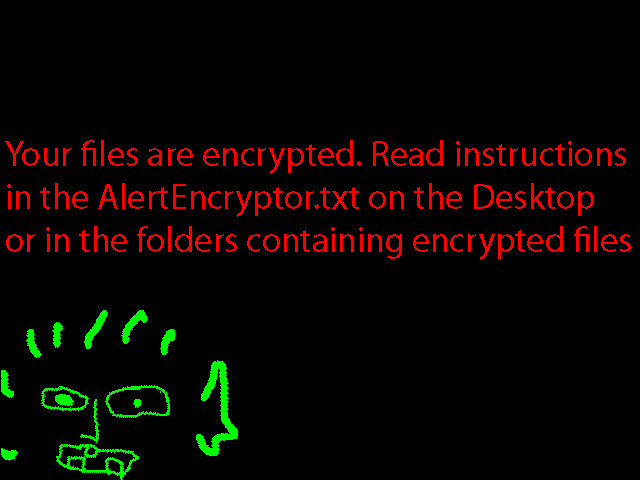 Files on your hard disk are encrypted. To names of the encoded files the line "_mail_yourID" is added. 2) Please, send message to mailbox specified at the beginning and the message end. In the subject of the message specify your ID. ID specified at the beginning and the message end. The only missing part compared to the generated AlertEncryptor.txt files in this text is the E-Mail address and the ID. This seems to be generated by the malware itself when writing those text files, I found also a matching static text (“\nID: %d\nMAIL: %s\n\n”). Oh how nice, the E-Mail address! Of course, since this string is also not inside the malware itself, it must be part of the response. So another 22 bytes unveiled. So the first 32 bytes of the EID look like an encryption key. This also sounds a lot more like a common key length (256 bit). That’s all so far. I think I have isolated the encryption key from the response now, which should allow to decrypt the data. However, the encryption algorithm remains unknown. Also, assuming the encryption key is not static, there is still little hope for a general decryption solution. Note: Currently the server does not respond the way it used to some days ago. The EID are currently empty (in the form “EID=.”)… Either the malware author disabled the server or it is somehow broken.